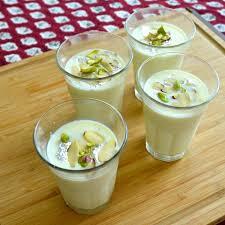 Indian sweet recipes will give you the right direction for get the delicious Indian taste for dessert. 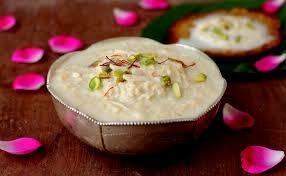 This is rabri, a sweet dish for your dessert after dinner. Please prepare all of these ingredients if you want to cook rabri. It’s your time for cooking. 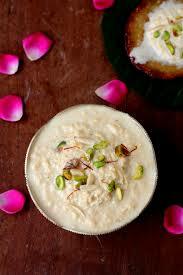 The Indian sweet recipes will give you the right method for cook the rabri. Now, please follow the direction below to get the delicious rabri. In a pan, boil the milk. Give sugar and cardamom then bring it into simmer. Get the layer of cream by not stir it often. When you get the layer, stir the milk below it carefully to avoid scorching. Repeat the third step until you get one-third of the milk is left. Continue cooking until you get the perfect thickness of your cream. You can stop when you see the color turns into beige-cream. Let it cool then transfer in a bowl and garnish with the vark leaves. It was very easy. What you need to do is combine all of the ingredients and cook them carefully. You can follow the Indian sweet recipes to get the delicious and special dessert.